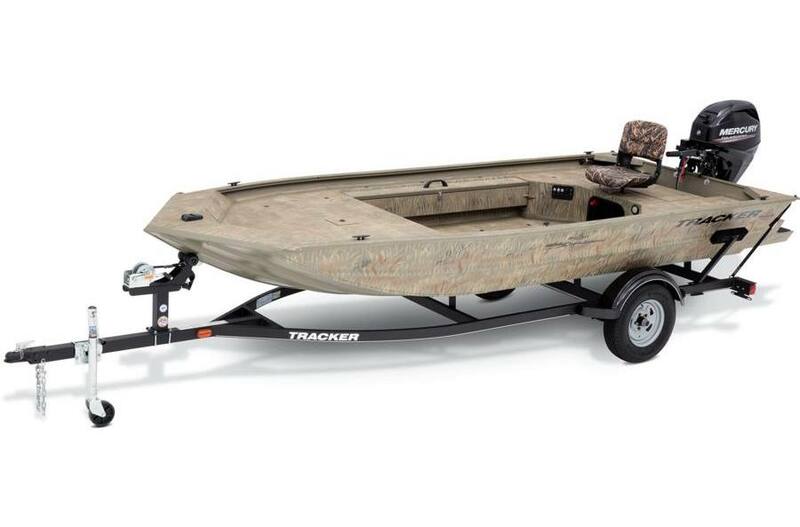 Built tough, with an ideal layout for waterfowling, the TRACKER® GRIZZLY® 1654 T Sportsman is a duck-hunting machine. It sports a lockable and removable starboard gun box, and a port rod/gear box. The unitized, all-welded stringer, transom and Mod V hull give you a rock-solid boat with a smooth, dry ride. And the integrated sponsons at the transom improve shallow-water performance. 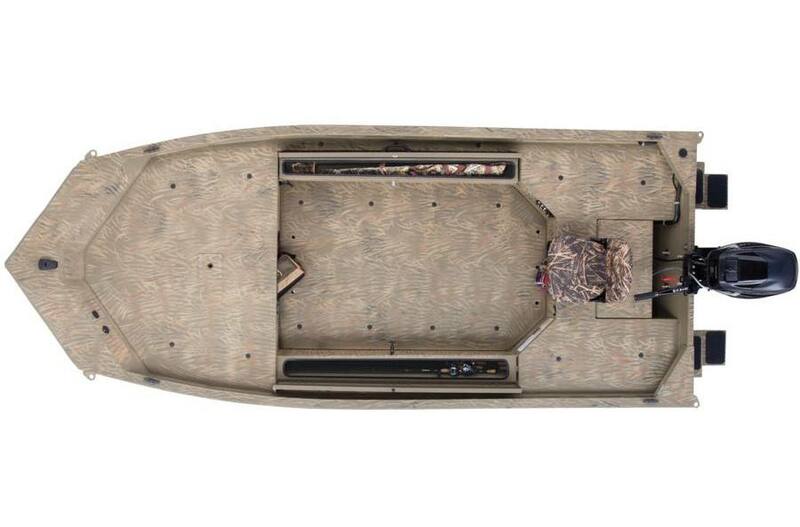 The all-aluminum 1648 T Sportsman is finished with our industry-exclusive Forest Green powder-coat finish, and is also available in optional Grassland or Woodland camo patterns. And like every GRIZZLY, it’s backed by the TRACKER Promise—the best factory warranty in aluminum boats. Length	17' 4" | Towing: 22' 4" | Storage (w/outboard trimmed down): 22' 4"
Width	Bottom: 4' 6" | Package: 6' 6"
Max. person weight: 640 lbs. Average package weight: 1490 lbs. Storage length (w/outboard trimmed down): 22' 4"
Beam: 6 ft. 6 in. Bottom width: 4 ft. 6 in. Max. person weight: 640 lb. Max. person, motor & gear weight: 1100 lb. Average package weight: 1490 lb. Package width: 6 ft. 6 in. Towing length: 22 ft. 4 in. Storage length (w/outboard trimmed down): 22 ft. 4 in.